Our regular meetings are most often held on the second Wednesday of the month at 7:00 p.m. in the Chimbole Cultural Center in Palmdale. 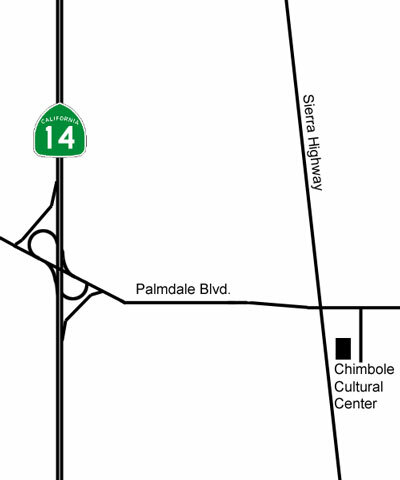 To get there, exit the 14 (Antelope Valley Freeway) at Palmdale Blvd. Go East on Palmdale Blvd. Turn right into the first driveway after Sierra Highway. The Chimbole Cultural Center is right next to the library. Our December Holiday party is held at the Leisure Lake Mobile Home Park in Lancaster. Exit the 14 (Antelope Valley Freeway) at Avenue F and go East to 20th St. West. Turn left on 20th St. West. Turn left at the Leisure Lake entrance. Twice a year we meet at the Mayflower Gardens Chapel in Lancaster. 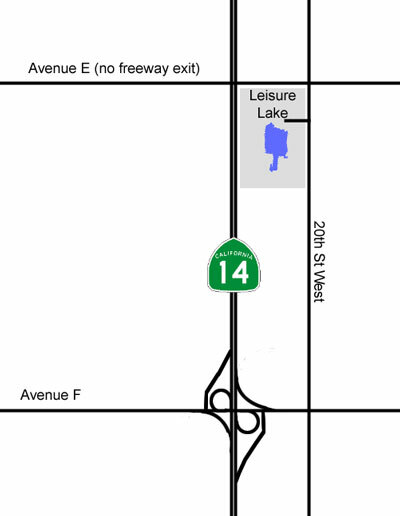 Exit the 14 (Antelope Valley Freeway) at Columbia Way (Avenue M) and go west. Turn right on 65th West. 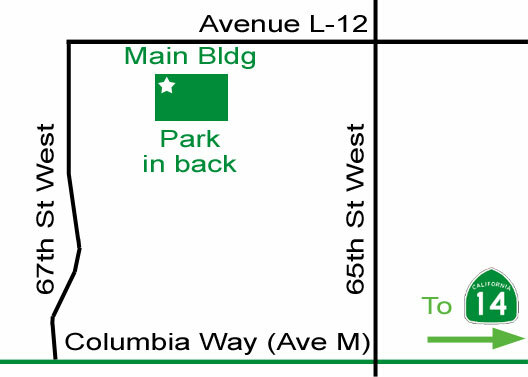 Then turn left on Avenue L-12. Park behind the main building on your left. The address is 6570 West Avenue L-12 in Quartz Hill.